Need to command a crowd? You can do no better than our ELITE multi touch system. “Minority Report for real” is a common first impression of the ELITE, and it’s not hard to see why. Like your smartphone, it uses touch capacitive glass for perfect responsiveness to every tap and swipe. Unlike your smartphone, its transparent screen pulls onlookers into your performance from every angle. 60 seconds—that’s all the time you need to set up or break down your ELITE system. When not in use, it stores conveniently and discreetly in its “road case” format. For the event marketer, there is simply no comparison. With a 3000 lumen, full HD screen, the ELITE is ready to WOW audiences in virtually any setting—from formal art gallery exhibits, to blazing hot outdoor events in Miami. Need we say more? Whether you’re a working DJ or a large hotel chain, the name of the game is to impress. And the ELITE impresses everyone, every time. My biggest client is Walt Disney World. 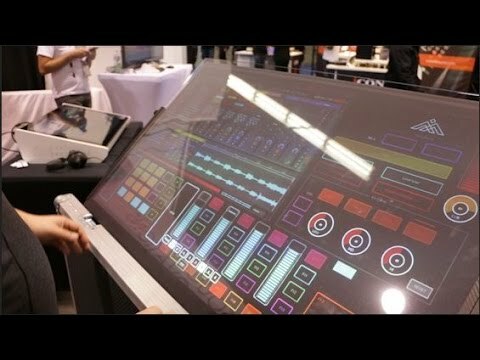 They expect the DJs to be a little more advanced when it comes to the gear, music and interaction during performances. It feels good to have a piece of gear that is totally advanced beyond your standard turntable or midi controller. We market our ELITE touchscreen to clients that want something different. It’s all about the WOW factor! Emulator Elite is the central focus of my entertainment companies. The quality of the entire system is amazing. What is even more amazing is doing a full production event arriving with just my ELITE hardware, plugging into the provided sound system, rockin’ the house & when it’s over being gone in 15 min. This system is one of the best investments I have ever made. I earned back that investment in just 4 events. If you’re wanting to elevate your presence, have everyone amazed at watching you mix, this is the platform for you. The Emulator ELITE brings the WOW factor and sets me apart from the competition. It gives me the ability to customize the decks with clients logos and their brand colors. 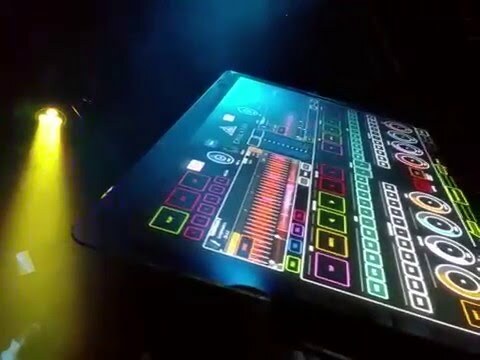 Being an Emulator DJ gives me the ability to create a user interface to what ever I need to control, such as DMX lights, fog machines and music videos. Currently I control all my shows from the Emulator ELITE system including my laser cage. I have been DJing for years, so I have seen many pieces of equipment come and go. Each has changed how I work as a DJ. but the Emulator has had more of an impact on my business, the audience and me as a DJ, than any other equipment I’ve ever owned. At almost every event, someone has walked over and said “That’s the most amazing thing I’ve ever seen.” We have clients seek us out because of Emulator. With 3 ELITE models to choose from, you can select which best suits you and your business. * Review your options and secure your order by clicking "Order Now". Fill out your information and a TI expert will contact you to confirm your order details.